Valentines Day is 8 days away! Can you believe it? So in honor of Valentines Day, I wanted to post some fun Valentines Crafts to do with your kiddos. *Warning: Project involves use of sharp tacks. Always do age appropriate crafts, under adult supervision. 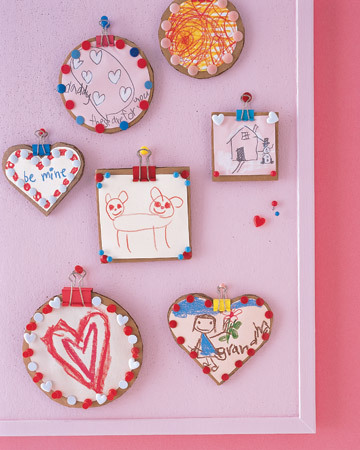 to view materials and instructions to make these super cute Valentines Frames. This is a great way to get rid of all those broken crayons. (we know you have them in a Ziploc somewhere) All you do is take the paper wrapping off the crayon, and cut the crayons up into small pieces. You would then place the pieces in a oven safe, decorative ice cube tray (Heart Shaped for V-Day). Set oven to 250 and bake for 25 min. Take them out and let them cool thoroughly, and pop them out to make heart shaped crayons. I also wanted to add a Free Valentines Day printable from our friends over at www.skiptomylou.org. Skip to my Lou has been my favorite crafting blog for a few years now. They have great crafts for all occasions! 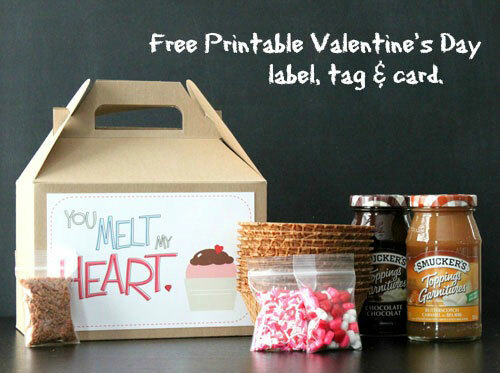 This is an adorable printable project! This would make the perfect Valentines Gift for your child to give that special someone (and by the I mean Mom, Dad, Grandpa, Grandma, or Nanny! ).